Track 1 off this soundtrack was included on the second 'Doob Doob O' Rama' compilation a few years back. 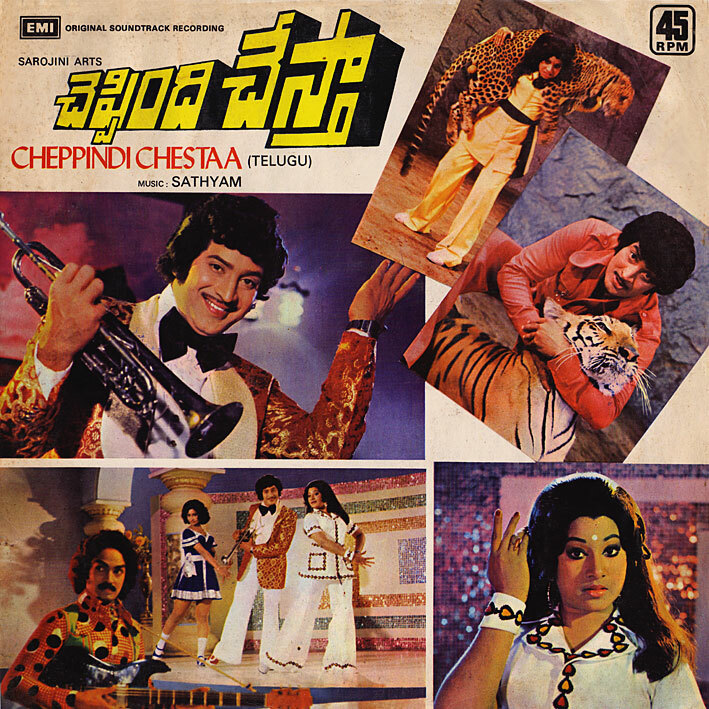 It didn't really belong there; the series was subtitled 'Filmsongs from Bollywood', and as 'Cheppindi Chestaa' is a Telugu film, it's actually Tollywood. Therefore the score shouldn't really be on this blog either... but I'm not that particular. And besides, 'China Daani Chirunavvulu' is great. Pretty much in the same tradition as contemporary Hindi songs, especially as done by RD Burman (and doesn't the cover have a 'Hum Kisise Kum Nahin' feel to it? ); good fun. None of the other tracks do anything for me though. yay! tollywood is great too!!! I'm desperately igggorant about Telegu cinema... so thank you very much. Why am I having a problem getting the link to your flickr page to load? could you reup this one? seems like iwas a little late..
but iam happy to found your nice blog! Thank you! I've been looking for this album for a while. or, if you'd bothered taking the time to read the comments, you'd find there's no reason for me to re-up.